TELEX:IRAN by Gilles Peress - The INDEX Ltd. In 1979, claims of “America held hostage” were heard loud in New York, where Gilles Peress lived. At the time, the prevailing image of Iran, purported by the media complex was one of a country falling prey to the madness of Islamic extremists. Propelled by a mix of intrigue and concern, Gilles made the decision to go to Iran. No assignment, no fanfare, he simply got on a plane to go see for himself what was happening. Navigating the situation for a period of five weeks, he encountered a political and social landscape that was broader and more nuanced than what was projected in the west. In an interview two years after his return, Gilles recounted an emotional, physical and cultural distance which compelled him, in retrospect, to go there, to listen, to see, to record. 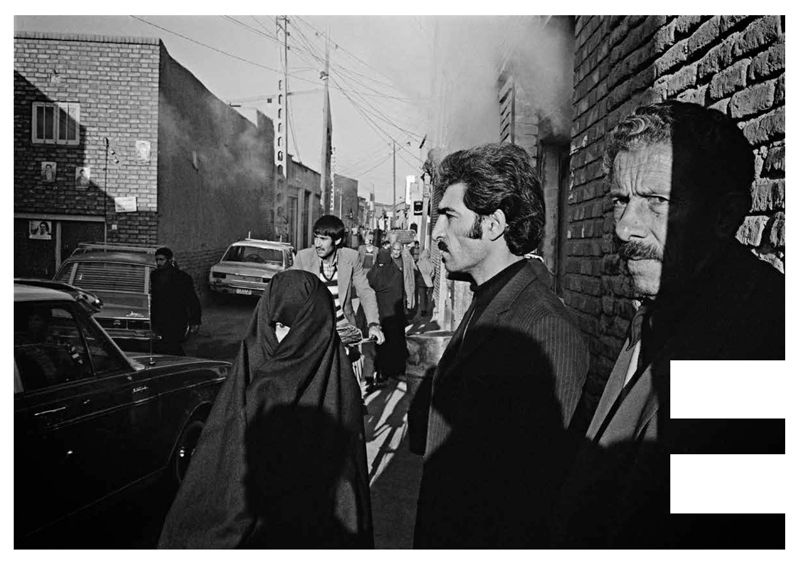 Through this photographic work; a visual language was spawned, in equal parts from the context as from the witness, resulting in the seminal book, Telex Iran (published by Aperture and Contrejour in 1984). Telex Iran represents a pivotal work in the history of photography. Gilles has said that photography is a democratic process that lives and changes; photographs, he has said, are open documents “where half of the text is in the reader. The photograph is the moment where my language finishes and yours starts.” Every image, Peress has said, has four authors: the photographer, the camera, the viewer and reality. This demanding work, which has lost nothing of its seismographic character and conserves its topicality with regard to the last episodes in Iran’s turbulent history, is presented here in a scenography conceived by Gilles Peress himself. The Musée de l’Elysée is pleased to welcome into its collection the original prints from this second edition of Telex Iran, thanks to the generous gift from a private collection. A selection from these 100 prints created in 1997 for the Scalo edition will be shown in this exhibition produced in collaboration with Gilles Peress. The Musée de l’Elysée is an institution of the Canton of Vaud.